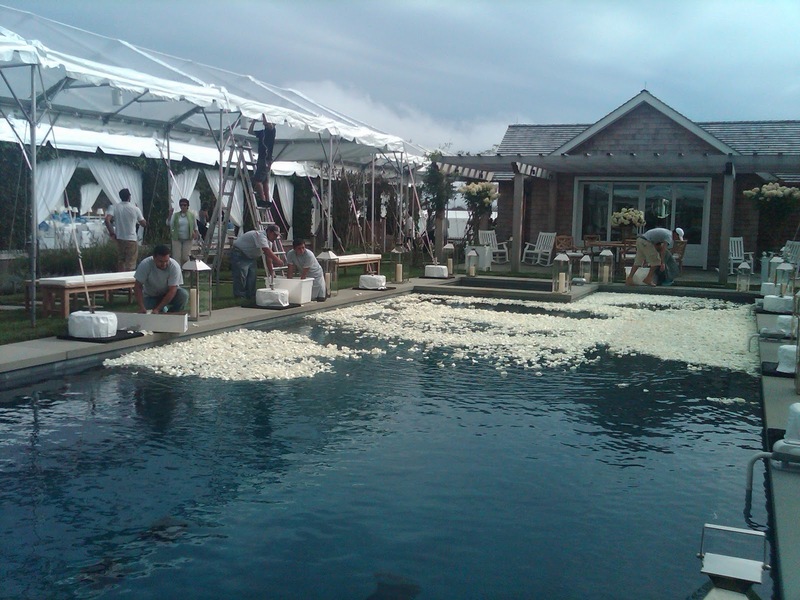 The rain, torrential at times, made the 12-day installation for this project slightly challenging, but that's what we do! 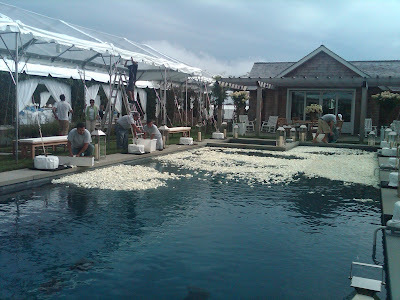 However come wedding day, the skies cleared up (a bit) and everything turned out beautiful! 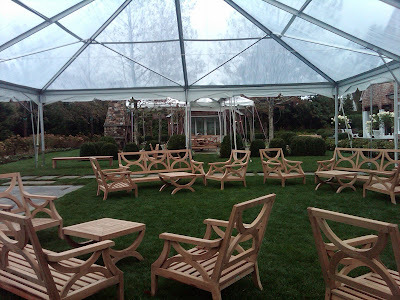 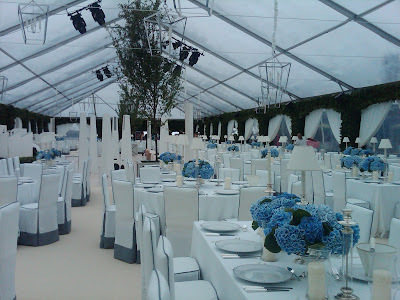 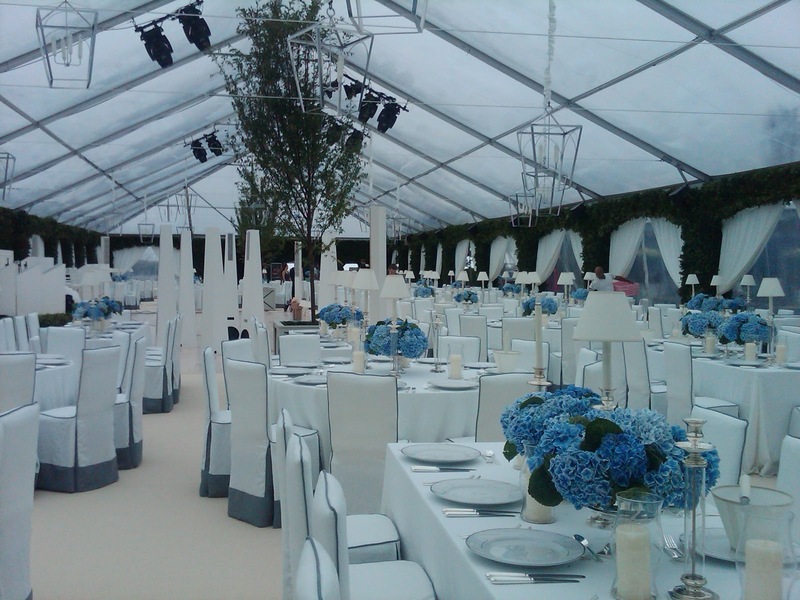 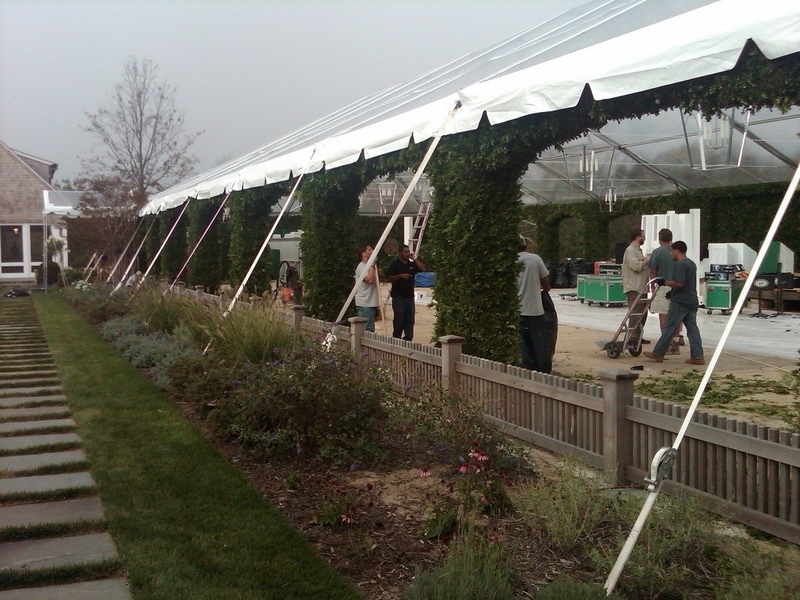 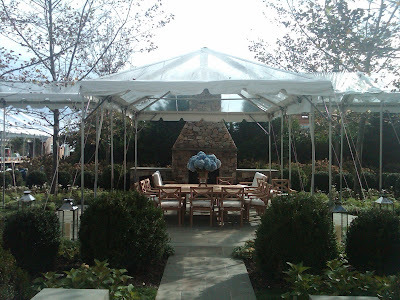 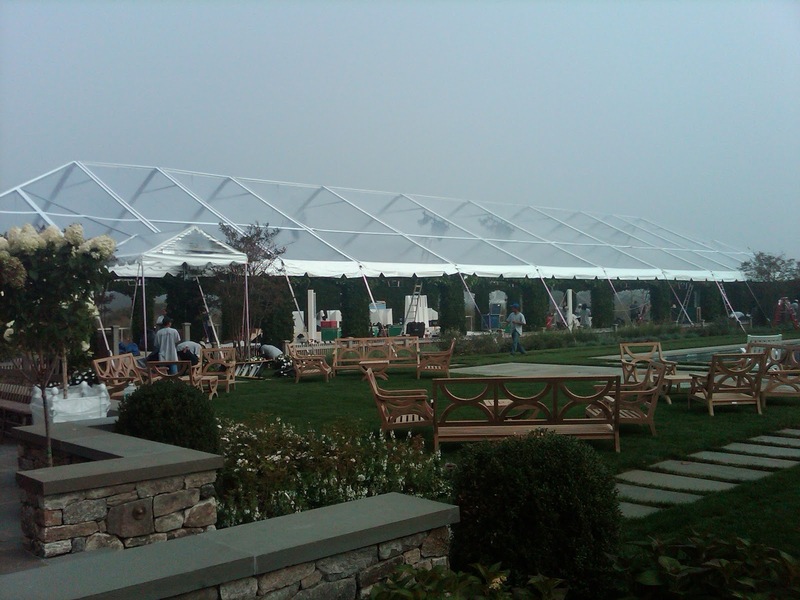 A plywood sub-floor was built over 4 feet high in order to place the dinner tent (a 50'x165' clear Navi-Trac) on the same level as the pool and cocktail area, creating a seamless environment for the guests. Dwayne Holmgren from Raul Avila Inc was the mastermind of that creation. 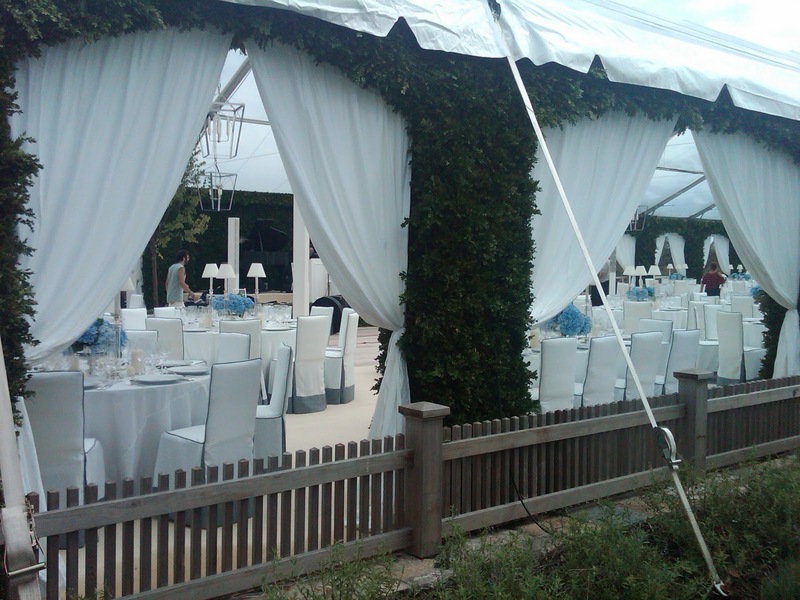 From the flow of the event, to the decor and special touches throughout, it was truly an elegant design for the family's special day. 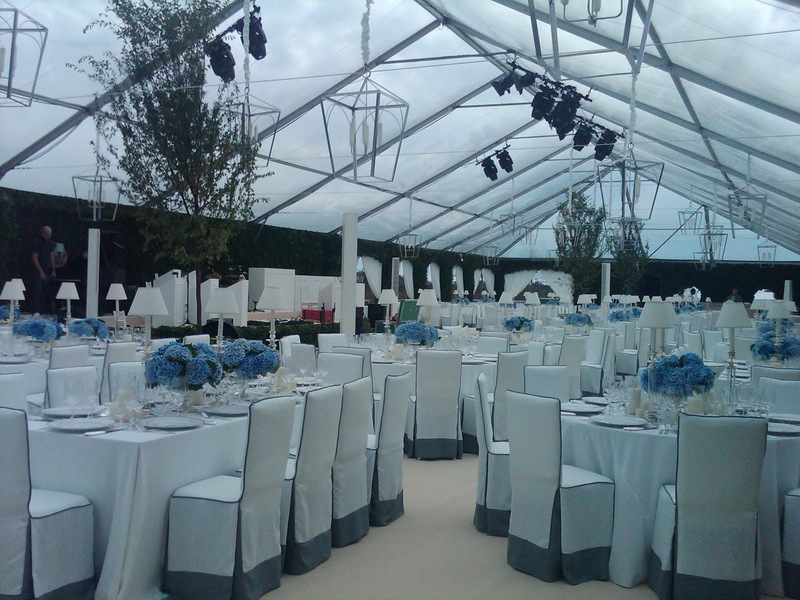 I can't wait to see what he has in store for his next project! 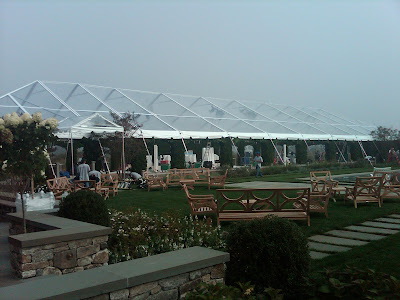 Here are a few photos of prep and event day. Click any photo to view a larger version.